The previous post described T cells affecting brain cognitive processes as well as immunity. The T cell in the CSF, somehow, is able to control other inflammation cells and increase cognition when there is no infection. Then, it switches to become the most potent killer cell when infections are present while decreasing cognition with “sick” behavior. 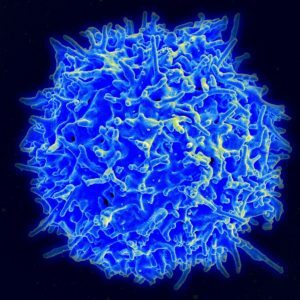 There are, in fact, many different types of intelligent T cells in immunity and thousands of different functions. Perhaps, most extraordinary is that T cells exhibit four totally unique capabilities among living cells—elaborate self editing of its own DNA to make diverse receptors; helping B cells to “hypermutate” making a better and better fit for antibodies; rapid metabolic change using its own metabolites as signals; and regulatory cells that can suppress unwanted attacks on human organs. This post describes these four extremely complex immune and brain activities of intelligent T cells. T cells act as individuals and as part of networks, with elaborate signaling to brain and immune cells using cytokines and neurotransmitters. 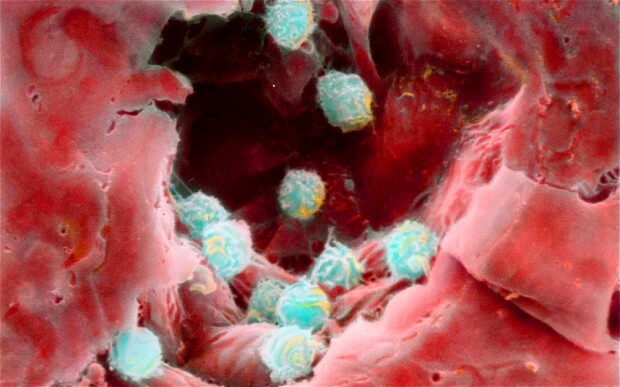 It uses unique cellular mechanisms that allow it to alter its entire metabolism to build a powerful army of cloned fighting T cells killing microbes and cancer. Cancer cells copy these techniques for their own rapid multiplication. 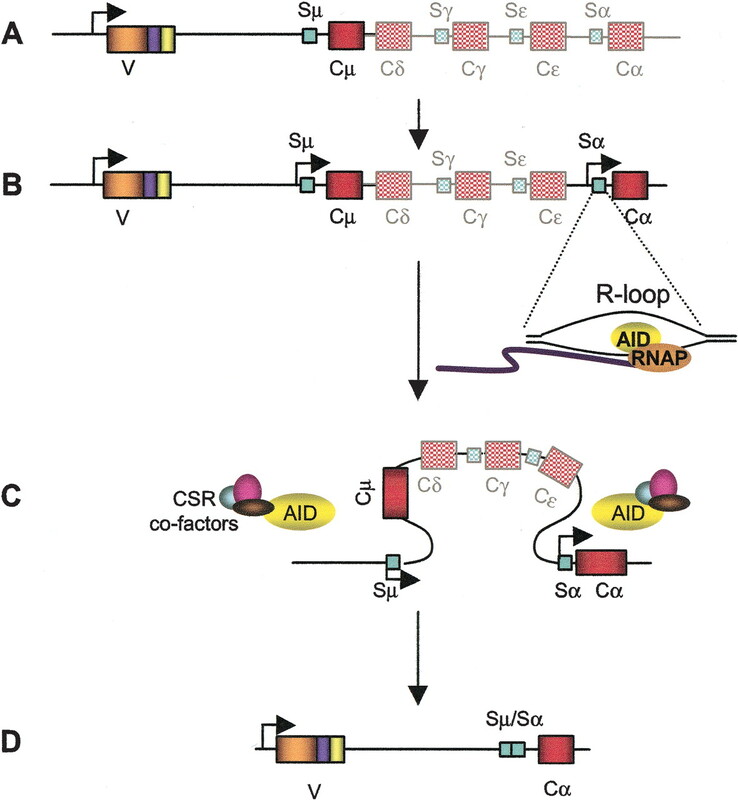 Some would have us believe that the process of DNA self-editing that occurs in the B and T cells is random. While the end product of each cell’s editing from millions of different possible T cell receptors and antibodies might be random from a huge range of choices, the process itself is highly organized and complex with more than ten distinct steps in sequence. 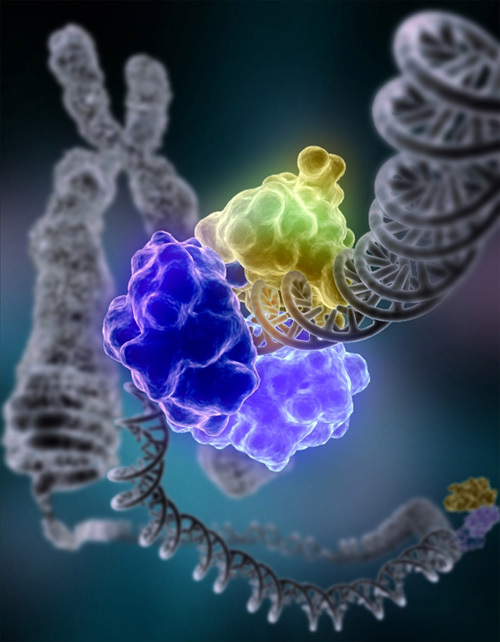 A previous post showed the enormous complexity of ordinary cells’ self editing of DNA errors using many different large complex proteins that first stabilize the section of DNA, then cut, sew, paste, remake mistaken code, and eliminate defective parts. 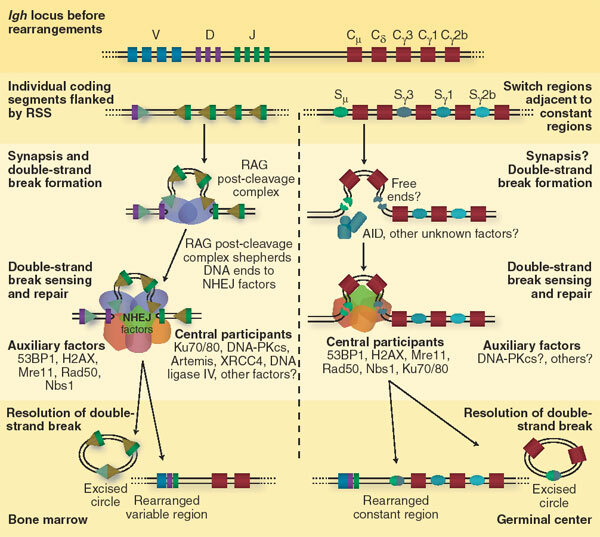 The process ordinary cells use to avoid errors when DNA divides is extremely complex and anything but random. But, the self-editing of the T cell that creates the remarkable diversity of the receptors fighting a wide range of invaders, is vastly more complex. It is an orchestrated process with at least ten completely different steps and many different complex enzymes. It is equivalent to doing brain surgery on your self. 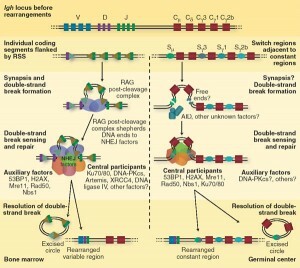 The DNA self editing process is called V(D)J recombination. Sections are taken from the V, D, and J gene regions and sewn together to make T cell receptors and antibodies. Because there are so many different V, D, and J genes to choose from, billions of different combinations are created cutting and sewing these genes together. 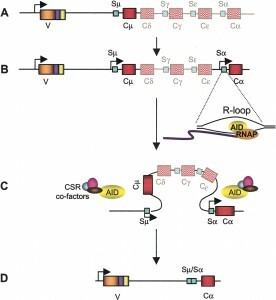 A second remarkable function of T cells is called somatic hypermutation, SHM. An important subclass of T cells are T helper cells. They help all other immune cells do their job by sending signals or with direct contact. One of the most remarkable helping functions is in somatic hypermutation of B cells. One antibody from B cells is first chosen to fight an invader. SHM is a programmed mutation of the DNA that makes the antibody, so that the fit of the antibody will be more and more accurate. T “helper” cells in general help B cells perform their functions through cytokine communication and also by direct contact with B cells. B cells major job is to create antibodies that are accurate to chase and kill invaders. The original process of J(D)V DNA editing is the way that B cells create a wide range of different shaped antibodies that will connect with particles from invaders. When a fairly good fit is found B cells activate and start producing a large amount of identical antibodies. SHM is a process of further modifying the antibody. The DNA of the gene being used to make the antibody is mutated and edited. By hypermutation, variations of the antibodies are rapidly made so the antibody can be even more accurate to bind with the exact particle of the invader. When the better antibody is found, it is rapidly reproduced and sent out. This rapid mutation is directed by a special enzyme, called AID that alters one of the DNA letters, cytidine (it deaminates a cytidine). This directed process of gene mutation occurs only at the exact part of the DNA that makes the variable region of the antibody. It creates many close variations of the antibody by changing one code letter each cell division until a new antibody fits the invader better. SHM molds the response to be more and more accurate. As the B cells produce better and better antibodies, they present them to the helper T cells, which then triggers more of them. In the previous post, it was discussed how T cells can be so accurate in attacking cells infected with invaders, and yet so scrupulous in avoiding normal human tissue. A process was described where T cells are selected for maturation or destroyed based on their affinity to self antigens. Somehow, the thymus is able to judge the exact range of affinity a particular T cell demonstrates it would attach to human cells. It kills T cells that react to weakly and too strongly, but leaves those that are “just right”. While selection is a basic mechanism in regulating the power of T cells to help or destroy human tissue, an even more critical and complex process involves regulatory T cells, or Tregs. Regulatory T cells patrol the entire body and appear to have many different functions. They are able to suppress the effects of activated T cells or enhance them. When a campaign against microbes is winding down, the regulatory T cells slow down the killer T cell’s activity. They are, also, critical in stopping T cells from attacking human cells. They operate by sending cytokine messages and direct contact with other cells, as all T cells do. They can change the metabolism of the target cell. The extremely complex mechanisms of the Treg cells are just now being discovered. Along with T helper cells, T cytotoxic cells, the Treg cells are a vastly complex cell with many intelligent functions. 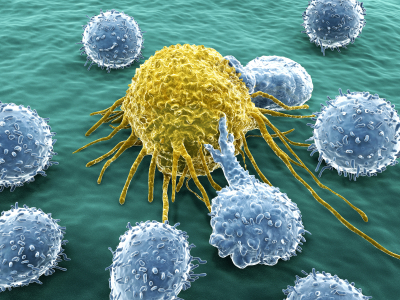 The fourth remarkable feat of the T cell is, also, used by cancer. When a T cell is activated to respond to an invader it totally changes its metabolism, using its own metabolites as signals. T cells travel in the blood vessels and the lymph nodes until they recognize a piece of foreign protein. 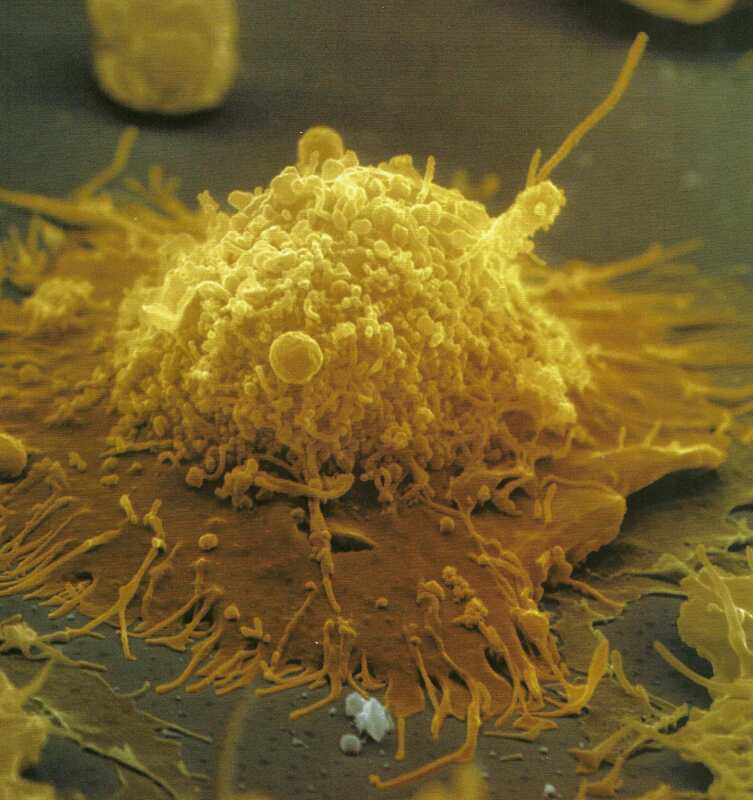 When they recognize this piece and have two other co signals, usually from dendritic cells, the cell is activated and it reproduces rapidly. Activation produces a series of dramatic different phases for the T cell. By the time they are cellular cytotoxic killer cells they have a very different metabolism and structure. When the cells are in their natural surroundings of lymph tissue there is appropriate food and oxygen. When they are activated to chase invaders or cancers they move to regions that are hostile, and don’t have the comforts of oxygen, cellular growth factors and nutrients. The entire metabolism must change to survive in these new surroundings and be able to grow and fight. This metabolic change occurs while they are already using an enormous amount of energy to reproduce rapidly. T cells live in many very different environments. Lymph nodes and spleen are nutrient rich. Infection sites, thymus, bone marrow and GI epithelium have low oxygen. Cells need to use energy to transport nutrients into the cells. Oxygen diffuses freely into tissues and local immune cells can use all the oxygen leaving none for the army of invading T cells. 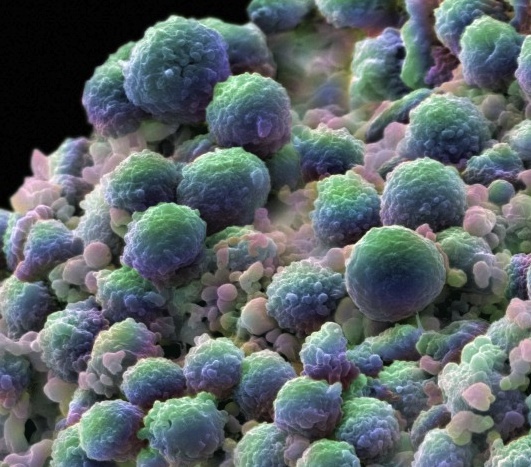 In cancers, T cells compete for nutrients. Cancer cells can manipulate immune responses by using nutrients and oxygen. All of these different circumstances require different metabolic approaches. 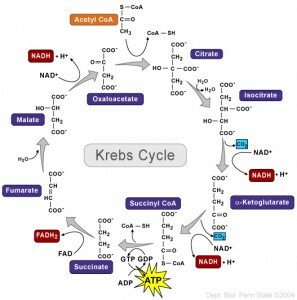 Every student learns about the Krebs cycle (also called TCA – tricarboxylic acid cycle) where energy is produced from sugar. In this complex series of biochemical reactions, the basic energy particle, ATP, is made using oxygen. In other situations ATP must be made without oxygen. But, until recent research into the T cell, it was never known that all along the cycle enzymes have a dual role. Each part of the cycle not only serves in the metabolic pathway, but, independently, can signal to the genes and interact with RNA to regulate the dramatic changes that occur in T cell lymphocytes and cancer cells. T cell signaling triggers this alternative use of enzymes. When the battle is over the signaling shifts back. 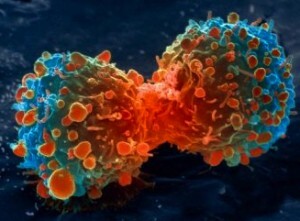 Cancer cells also change metabolism in a series of stages that are very similar to T cells but much slower. They also depend upon reprogramming of metabolism, epigenetic alterations and new signaling to their cancer cell comrades. It used to thought that cancer altered some enzymes, but now it is known that growth factors trigger DNA networks that totally revamp their metabolism using the same dual function enzymes as the T cell. The metabolic pathways are connected to the surface of the cell by cascading pathways. The T cell receptors trigger the alterations in the T cell metabolism. The Warburg Effect discovered in cancer cells is that energy production can occur in the cell cytoplasm, rather than in the mitochondria like most cells. This process can produce energy at 200 times the normal rate. The T cell uses this technique as well. The new pathways not only produce energy, but also start to produce other materials for proteins and fatty acids, which are needed for growth. A totally new pathway starts using glutamine in the glucose cycle. Another new pathway is triggered from the T cell receptors that import large amino acids such as leucine. Both leucine and glutamine help with the metabolic changes that are occurring and are critical to the new stages of development of the T cell. Tumor cells have shown a very high degree of plasticity (as neurons) and can change and adapt their metabolism in many ways, just as neurons are able to alter and change synapses in many ways (see neuroplasticity post). These metabolic changes are stimulated by environmental factors. T cells, also, display plasticity in different environments. With little oxygen, T cells use glutamine pathways to make fatty acids, for example. There are regions of very low oxygen in bone marrow, thymus, spleen and sites of inflammation. The T cell will alter the metabolism in these settings. T cells use a remarkable enzyme device to regulate how much energy it needs– that is, how much ATP. ATP is the major molecule that carries energy in the cell—ATP is “tri” phosphate. The other metabolites, ADP (“di”- two phosphates) and AMP (“mono”-one phosphate), are monitored in the cell by AMPK, an enzyme that can interact with adenosine plus one, two or three phosphates. Metabolites compete to bind onto AMPK, with ATP inhibiting and AMP stimulating. When there is too little ATP, this sensor stimulates more energy maintaining cell balance. Making proteins uses the most energy, 20% of the cell’s total energy. AMPK influences T cell’s metabolism and function. Silencing AMPK in tumors stimulates the Warburg effect, that is transiting from ordinary mitochondrion energy to unusual cytoplasm energy. It now appears that AMPK is vital to the entire process of T cells’ operation. It creates a checkpoint for T cells proliferation, acting as a brake when there is not enough energy. This allows for T cell plasticity including changing metabolism in different environments. AMPK now is known the help regulate inflammation as a whole. Individual T cells take direction from the thymus and lymph tissue and build many unusual receptors. With these receptors, the T cells are able to receive and follow directions from cytokines, which are constantly circulating from many immune and brain cells. In the same way that we are inundated in the air with electromagnetic signals that travel throughout our body—television, radio, microwaves, cellular signals—T cells are constantly inundated with cytokine signals. As we must have radios and cell phones to pick up our signals, when T cell receptors and pathways mature, they can sense the cytokines and follow directions from many sources. These directions tell them to travel to specific places and to differentiate into the many different types of T cells with different functions. Of many types, the three basic critical cell types are Cytotoxic, Helper and Regulatory. When activated, T cells create their own signals that control cognition and other immune and brain cells. In order to perform its duties, the T cell uses unique processes, not seen in any other cells (except cancer). The regulatory T cell somehow knows how to suppress cells that can be dangerous. The Helper T cells are essential for all other immune cells’ operations. In the T cells, the standard Krebs cycle is altered, so that each enzyme in the cycle becomes a signaling molecule, stimulating cascades that trigger specific gene networks completely changing the cell’s metabolism. No other cells have a process of DNA editing as complex as the J(D)V recombination, used for T cell receptors and B cell antibodies. This process is the opposite of random with ten essential steps and many different enzymes working together in each step. While most scientists want to believe that all DNA mutations are random, in SHM, the T cells demonstrate an orchestrated targeted version of self-mutation of DNA that is essential to make antibodies more accurate. With so many extraordinary functions, how can we not be impressed with intelligent T cells? This entry was posted in Blog, Neuronal Plasticity, Cellular Intelligence, Human Brain and tagged T cells help B cells hyper mutate, T cells change metabolism using metabolites as signals, Treg cells stop attack on human tissue, T cells have unique processes among cells, T cells self edit DNA, Regulatory T cells regulate immune activity, Cancer use T cell techniques, Warburg effect in T cells, AMPK is T cell energy sensor, AMPK regulates T cells, AMPK regulates inflammation. Bookmark the permalink. Great work on this new essay. I’m sharing on Facebook. As usual, Dr. Lieff incorporates more technical information into this well-written article than most people can absorb. I am amazed at the depth and breadth of his knowledge base. I hope to soon see discussion of the term mutation, since mutations are obviously not random. Instead, the ten essential steps are most likely to be nutrient-dependent and pheromone-controlled. That control epigenetically links genetic predispositions, nutrient stress (abundance or lack of food) and social stress to mutations that do not typically occur in the context of adaptive evolution to the sensory environment. Thus, mutations is a term that can be reserved for use when adaptations fail. Note, for example, the link between obesity and some forms of cancer as well as links from other excessive physical stressors (cigarette smoking) and social stress. Clearly there are genetically predisposed differences in our ability to adapt that may lead to mutations. Perhaps the term adaptation can replace mutation for comparison to what is typical and what is not. This might help Dr. Lieff bring home the points that DNA mutations are not necessarily random; that our behavior epigenetically effects our DNA; and that typical effects do not cause mutations. I can´t avoid the thought that considering all of this complex cellular technology, (I mean it is a technology) and given the original Hox gene regulated body plan, that life seems to be based on an entirely modular object-oriented system of epic proportion. The earth itself is a dynamic system, having thrown up a third electromagnetic shield last year, protecting life from the high energy output of the sun, much to the surprise of scientists… we have to wonder if we really understand the nature of life which seems so closely connected to the entire planet. With the evidence that T Cells operate to direct mutations in order to combat invading diseases at the molecular level, it naturally follows that species operate in a similar manner against external threats. However, only one species, humanity, that we know of, acts self consciously to accelerate its own future well being by developing new degrees of freedom via the advent of technologies that redefine its resource base. Now we are being propagandized that we must give up this very mission orientation, in order to save mother nature. But that would be equivalent to operating with a sort of suicidal death wish. Just such an unnatural worldview has been promoted as wisdom increasingly over the course of the past century. Thus the irrational doctrine of randomness pervades the supposed intelligentsia. The choice of future is increasingly stark: societal anomie or a concert of nations ushering in the transformative age of fusion energy.